There’s little doubt that alcohol-free beer is healthier for you than beer that contains alcohol. Not only do you avoid the short and long-term risks associated with drinking alcohol, but you’ll consume less calories. There’s also a higher chance you’ll eat more if you’re a moderate drinker. But, is non-alcoholic beer good for you? And is alcohol-free beer actually healthy? These are the health benefits of alcohol-free beer both as a replacement for alcoholic beers and as a healthy drink in its own right. Several studies show that drinking alcohol-free beer can improve blood circulation, putting less pressure on your heart and reducing your risk of cardiovascular diseases like heart attack and coronary artery disease (CAD). In this study, researchers found that drinking non-alcoholic beer can help prevent thrombosis (when a blood clot forms in an artery). Meanwhile, this study found that organic compounds called phenols in beer help reduce the risk of atherosclerosis, where your arteries becoming clogged with plaque. Is non-alcoholic beer bad for you? This study, which measured the effect alcohol-free beer had on a group of nuns aged between 58 and 79 also found it reduced the risk of atherosclerosis. Drinking alcohol makes your brain release dopamine, a chemical that makes you feel good. However, this 2013 study found that drinking non-alcoholic beer also boosts your dopamine levels, so long as you already associate the taste of beer with alcohol. In the study, researchers used Positron emission tomography (PET) scans to measure the dopamine levels of 49 men when they drank non-alcoholic beer verses a sports drink. They found drinking non-alcoholic beer resulted in significantly higher levels of dopamine. Interestingly, they saw the strongest effects in participants with a family history of alcohol addiction. This 2018 study had similar results, this time looking at parts of the brain associated with feelings of reward. Again, researchers observed men who were all regular beer drinkers. They found that there were no differences to brain activity between 0% ABV non-alcoholic beer and 4.8% standard beer. Most of us don’t drink enough water during the day to maintain healthy hydration levels. This can make us feel lightheaded and tired, and negatively affect our concentration levels. Drinking alcohol-free beer is a good way to stay hydrated because any drink under 2% ABV will rehydrate rather than dehydrate you. Many alcohol-free beers are also isotonic, which means your body absorbs them quickly. Did you know hops can act as a sedative that can help you sleep better? This study, which looked at how drinking alcohol-free beer affected nurses’ sleep patterns, concluded that it has a positive effect on restful sleep. All without the sleep-depriving effects of alcohol. Beer is a rich source of silicon, a chemical that strengthens your bones. This is because hops and grain, especially barley grain, are high in silicone and much of this ends up in the finished beer. This study found drinking any type of beer regularly can help improve your bone density. In this study, researchers asked male runners to drink alcohol-free beer for three weeks before and two weeks after a marathon race. They found that the antioxidant and anti-inflammatory properties in the phenols in alcohol-free beer can help reduce muscle inflammation after exercise and reduce your risk of upper respiratory tract illnesses such as the common cold. As well as silicon (above), beer is a rich source of vitamins and minerals. Non-alcoholic beer provides all the benefits of these nutrients without the negative effects of alcohol. 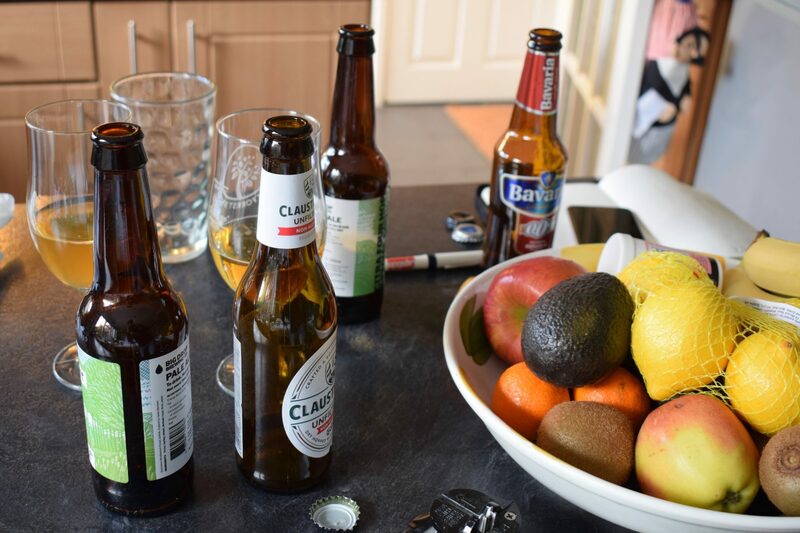 There you have it – while alcohol-free beer can be bad for you in some situations, alcohol-free beer is good for you, not just as an alternative to alcoholic drinks but as a health drink in its own right.